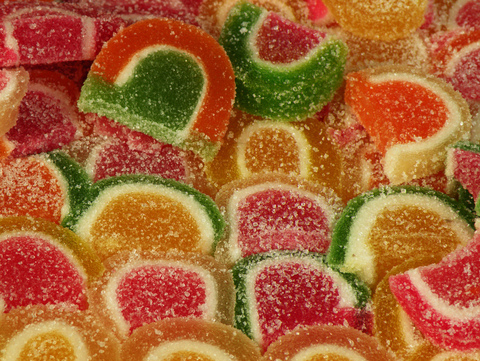 We often blame candy as the culprit behind tooth decay, but other foods and drinks that kids consume can be just as harmful to their teeth, and can lead to cavities and tooth decay. Keeping your teeth or your child’s teeth from decay during treatment starts with a proper diet, and today, our team at Packard Family Orthodontics will explain the negative effects that candy and other treats, including peanut butter, raisins, fruit juice, and chewy fruit snacks, have on your child’s teeth as he or she undergoes orthodontic treatment. Keep in mind that half of your child’s sugar intake may be coming from beverages that he or she drinks. A major offender is soda, but be mindful of fruit juices as well. Whatever you eat, Meredith Packard and our team want you to remember to brush often, floss regularly, and visit your general dentist as your treatment progresses. If you have any questions about sugary foods or drinks, please give us a call or ask us during your next adjustment visit!